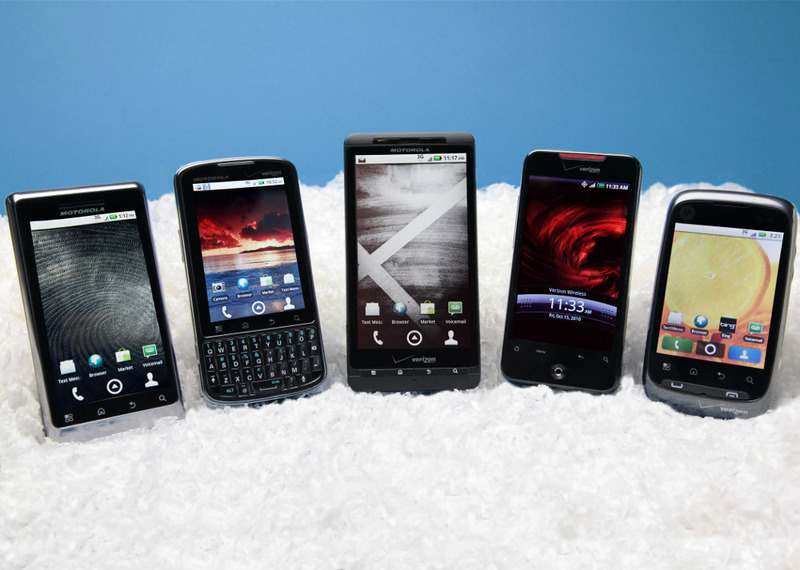 DROID 2 Global Pictured in Verizon Holiday Lineup? We’re about to go all sleuth-detective on you for a minute over some new pictures of Verizon’s Android lineup that just went up on their media page, so please try to hang with us. You’ll notice on the far left a Droid 2. Anything look odd to you? A little extra shiny perhaps? 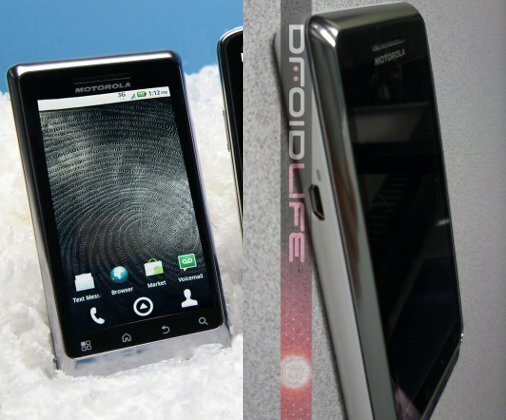 Now let’s take a look back at our Droid 2 Global pictures that show what appears to be that same shiny Terminator “liquid metal” silver. Well what do you know, looks like a match! And to make our theory even more believable, you’ll notice on this media page that almost every device is featured by itself in a happy new wintery theme except….you guessed it, the Droid 2. And why? Because it’s on the outs the the D2 Global is taking over for it on November 11th. Or it’s just a reflection from the shiny white fake snow. DROID 2 Game Gripper Released!